Yesterday it was announced that New Island Books will publish a new collection of short stories by women writers from the North of Ireland in Autumn 2016. The book, called The Glass Shore: Short Stories by Women Writers from the North of Ireland will be edited by journalist and broadcaster Sinéad Gleeson and it is hoped it will emulate the success of her previous anthology The Long Gaze Back which has been a hugely successful celebration of the short stories of Irish women writers. 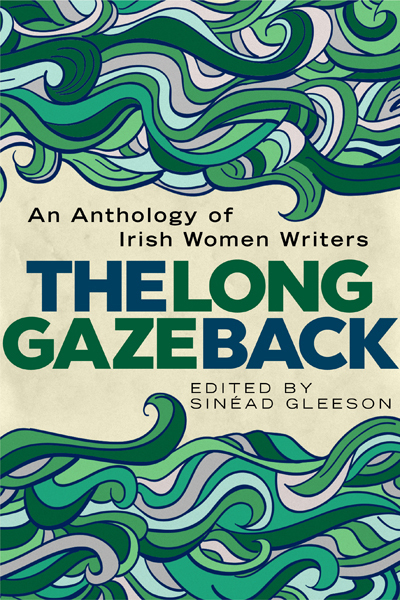 The Long Gaze Back won the Best Irish Published Book of the Year 2015 at the Irish Book Awards and has met with critical and popular acclaim bringing women writers to the fore. The Glass Shore aims to do the same for women writers from Northern Ireland. Spanning three generations of writers, the anthology will feature both emerging and established writers along with deceased and often forgotten voices. 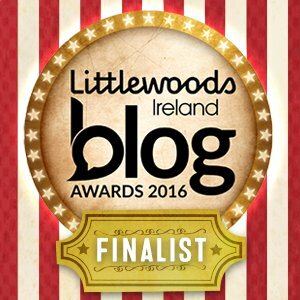 The anthology will feature writers such as Jan Carson, Lucy Caldwell, Evelyn Conlon (whose own anthology of women’s writing Cutting the Night In Two is well worth checking out), Danielle McLaughlin, Bernie McGill, Anne Devlin, Helen Waddell, Martina Devlin and Rosemary Jenkinson to name but a few. I am particularly pleased to see the inclusion of Ethna Carbery in the collection as she was born not far from my house and was one of my father’s favourite writers. 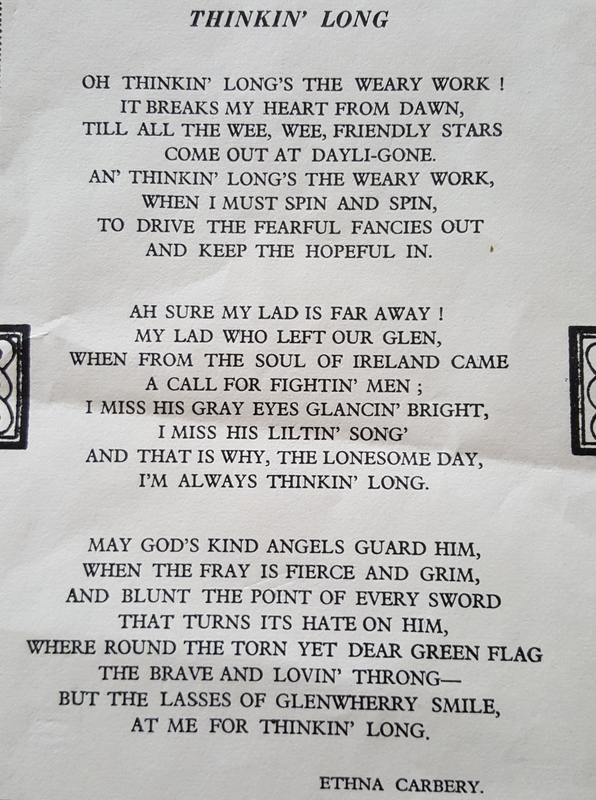 Her poem ‘Thinkin’ Long’ graced the noticeboad by his desk all his life and now graces mine. 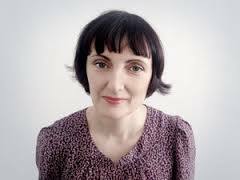 Sinéad Gleeson is a broadcaster and critic who presents The Book Show on RTE Radio 1 and writes about arts and culture for various publications including The Irish Times and The Pool. 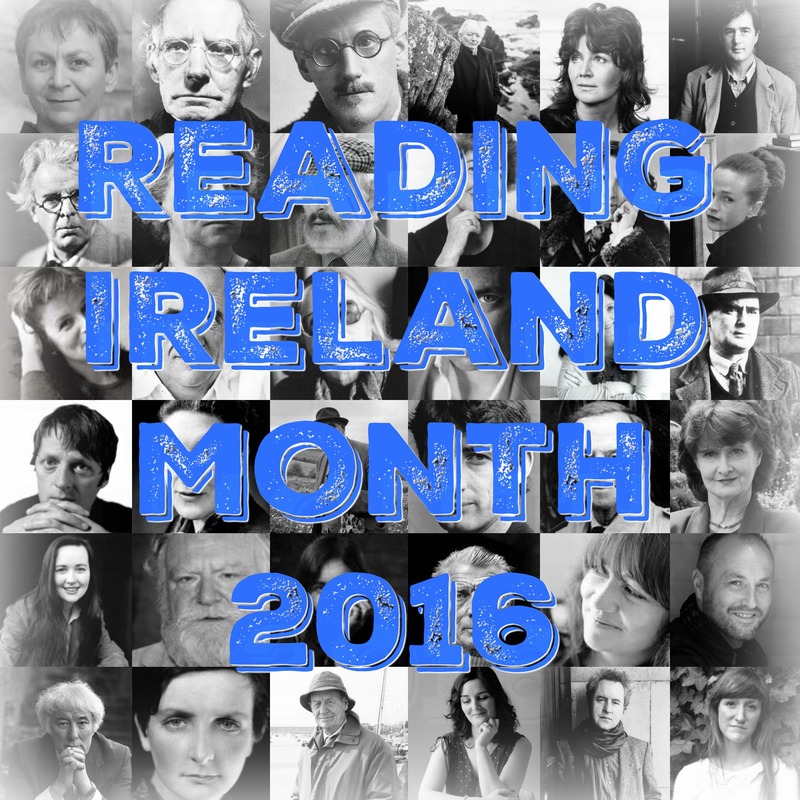 During Reading Ireland Month, I will be interviewing Sinéad about The Long Gaze Back and Irish Women Writers and will also be giving away a copy of the book. This week on the blog will be all about the short story and I will also be reviewing Danielle McLaughlin’s short story collection Dinosaurs on Other Planets on Tuesday to celebrate Women Aloud NI. The Glass Shore, edited by Sinéad Gleeson and published by New Island Books will be published in Autumn 2016. I read the first short story on a whim ands really enjoyed it. I did not expect a Littlest Hobo reference! Jan is a brilliant writer! Thanks for the new names. Sounds like a fascinating collection and I’ll look out for your interview. Thanks! I can’t wait to see this collection. Top of the birthday present list for sure! Poppy, The Long Gaze Back is wonderful – enjoy! Oh dear! If you keep introducing me to new authors at this rate I’ll have to change my name to FF747!! Love it! I’m a book enabler!